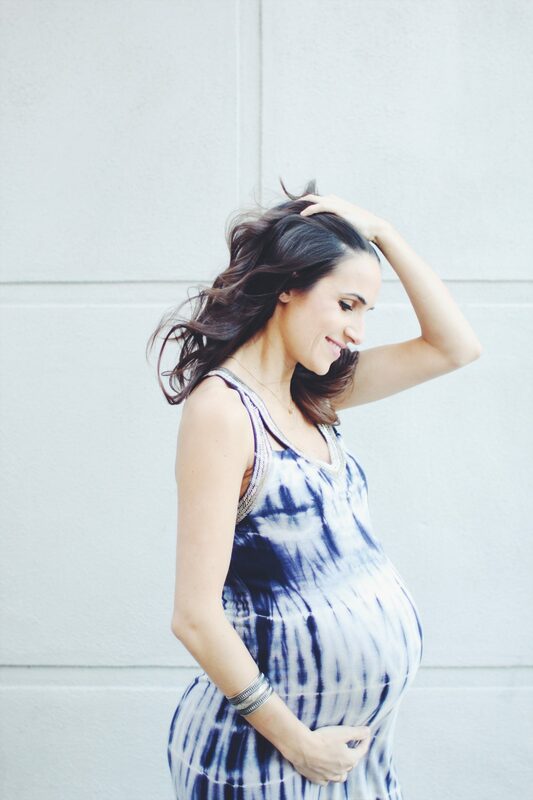 4 Stylish Outfits you can turn into Maternity Wear straight from your Closet! Welcome back loves! For about half of my pregnancy I was able to get away with sliding into my (looser fitting) jeans, cute tops and dresses. When I hit about 7 months pregnant though, I found myself forced into the new and *ahem*… expensive (!!) world of the dreaded maternity wear and maternity clothing. It started with needing a pair of jeans that would actually fit around my belly. And I’ll admit, I found some nice ones over in H&M maternity line but, in all honesty, that was about it. I was so disappointed with the selection across the major maternity clothing brands. Everything was either mind numbingly boring, ugly or looked like it came from a 12 year old girl’s closet. What is with maternity clothing lines just not being able to fashion-up their style and while we’re at it, make it affordable? That is really what led me to create this post for you guys. I thought what a great little challenge this would be. 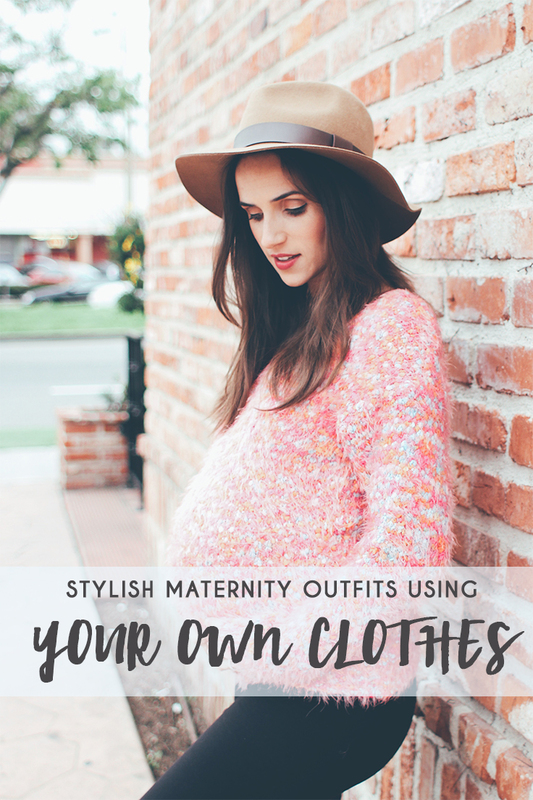 Seriously – there must be stuff in my own closet or even at the stores I usually shop at that I can re-purpose as maternity wear during my pregnancy, with the added benefit of keeping for after! So here are 4 looks that are SO EASY to recreate with things I’m sure so many of us already own. If you don’t own them then I’m certain lots of major affordable stores carry these types of items and you can grab something awesome and stylish all the while saving yourself some good cash! Pair a figure hugging dress with a shirt knotted above your amazing bump! Flaunt it, mama! I think this maternity outfit is probably better when bump is showing but still little-ish. Just looks so cute! Add a little edge with accessories – I used a beaded choker! I was actually thinking a crop leather jacket would work really well with this look too but somehow mine are all back home in Europe. Instead, I combined it with a cute & soft beige jacket which worked really well too! Accessorize with a simple bracelet & necklace. 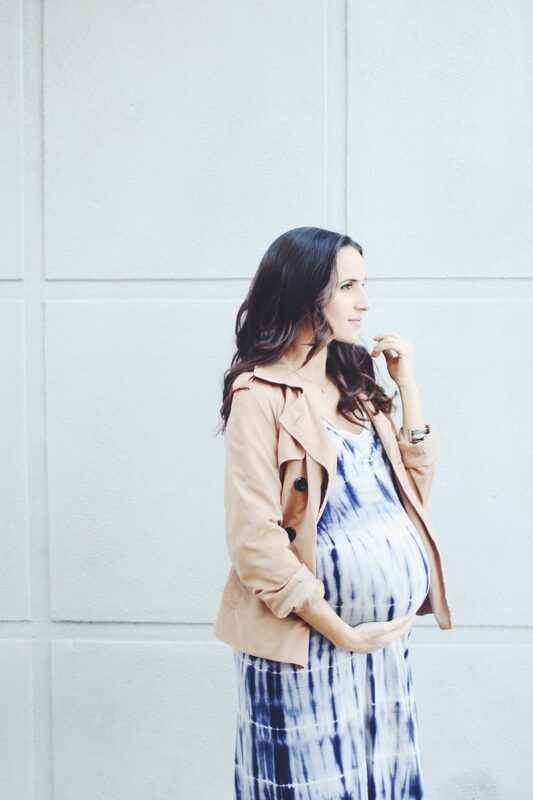 This outfit is great maternity wear for a Spring/Summer day! Grab something flowy and feminine and pair it up with a knit cardigan that more or less matches the length. Tie a little belt or ribbon around your empire line and you are all set! Accessorize with a cute watch or bracelet. Next Post Top 5 Thoughtful New Dad Gifts!